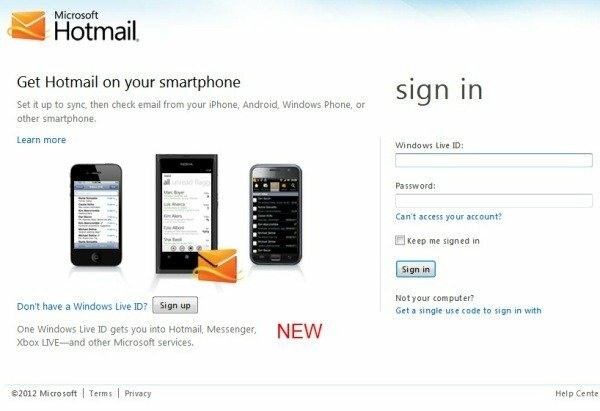 In one of our earlier posts titled Hotmail updates its Sign-in page, Website and Help Center, we had posted that in the new Hotmail sign-in page, iPhone was given more attention as over 2 million iOS 5 devices are conneted to Hotmail and 100K more being added daily. 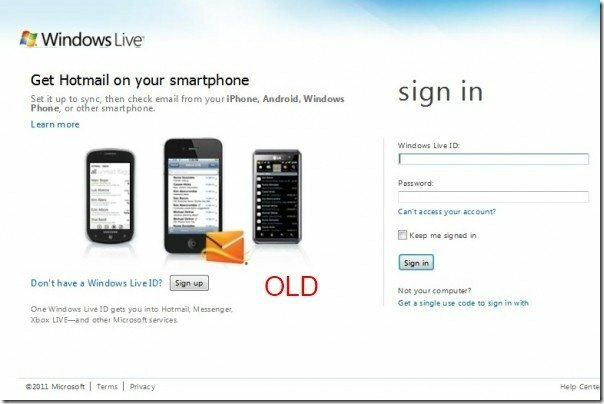 Now the Hotmail sign-in page has been again updated and it now shows the Windows Phone in front at the center. Looks like a Nokia Lumia 800 to me. And the iPhone moved to back. Though this might be a small change and many of us may not even notice it. But by providing Windows Phone prominent spot in the Hotmail sign in page is a welcome change ! With Windows Phone becoming more popular all over the world and slowly making its mark in the competitive Smartphone segment, its good that a Windows Phone gets some attention from Hotmail. Hotmail app also provides a great experience on all Smartphones and the Hotmail app has been even available for Kindle Fire. If you are a Smartphone user , be it any smartphone, its time you experience the Hotmail on the go with its Hotmail app. Hotmail app is available for all major Smartphones – iPhone, Android and of course Windows Phone !